The Efficy extendable CRM platform (xCRM) organizes, automates and synchronizes rules, marketing, sales and customer service. The platform collects and secures documents and data intelligently – extracting, organizing and sharing content with your enterprise’s people, business systems and processes. 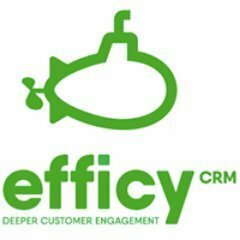 The Efficy Group, located in 7 countries (Belgium, France, Netherlands, Luxembourg, Spain, Switzerland and Turkey), is a major player in the CRM (Customer Relationship Management) market. With our wide range of software solutions, we have already attracted some 2,400 customers, with an exciting yearly turnover of 20 million euros. And we have no intention of stopping there! Our ambition? To become the #EuropeanCRMChampion. Hi there! Are you looking to implement a solution like Efficy CRM?